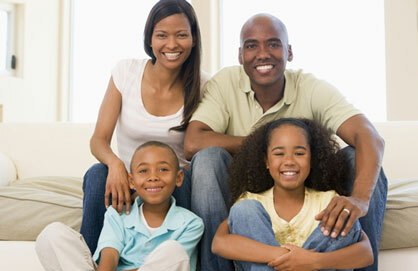 Convenient care in Concord CA with family & sedation dentistry, emergency dental care! While we are devoted to delivering the services and programs that maximize your valuable time, we are equally committed to never sacrificing the personalized attention you deserve. Our intent is for your visit to our office to be as convenient and agreeable as possible. Below are some ways we've simplified the delivery of affordable, quality dental care to your family. Feeling apprehensive can spoil your visit to the dentist. We provide nitrous oxide so you can not only be calm through your treatment, you can drive yourself home when it's over! We can provide dental care for you at every stage of your life. We are fully equipped to treat the entire family, focusing on the unique care you need whether you are two, ninety-two, or somewhere in between. Dr. McCormick offers same-day appointments for dental emergencies. Easing your discomfort is of primary importance to us. You will find our office on Cowell Road, just off of Ygnacio Valley Road and Treat Boulevard. Allow us to ease your busy schedule with our early morning appointments. Enjoy free refreshments and Wi-Fi internet while you wait. Want to complete your new patient forms where all your information is readily available? We provide downloadable forms you can complete in the comfort of your home. Have a question? Give us a call. We're available to talk you through the process. There are a variety of ways to pay for your dental care. We accept most major credit cards, and qualifying patients may apply for interest-free payment plans through CareCredit. We work to provide you with efficient, convenient dental visits. Call us today at (925) 685-3043 to see what we mean. [Designed by New Patients Inc.